This was first featured on Space Wolves Blog in October 2015 but that blog has now been lost to the warp. In an effort to retain the information we have republished it here. Hello there! My name’s Rob and hopefully going to be spouting some rubbish at you on a semi-regular basis. Today, tactics! Tomorrow, victory! So the new Space Marine codex and the new Dark Angels codex present some new beasts in the formations game, namely the Battle Demi-Companies. Broadly these are similar across the two codices so the tactics they will use against you, and conversely the counter tactics you need to employ will share many principles. However there are some key differences between them and so today I will go through the Dark Angels Demi-Company and hopefully show how the Wolves of Fenris can sink their canines deep. OK, so full disclosure, I’m not a space wolves player (the shock, the horror, the outcry! ), but I have long held a fondness for them, particularly in the fluff and I have considered collecting them many a time. I also play against them frequently (and hope to have some battle reports up to boot) so I know what builds crop up, at least in my local meta, and also how I will counter them. 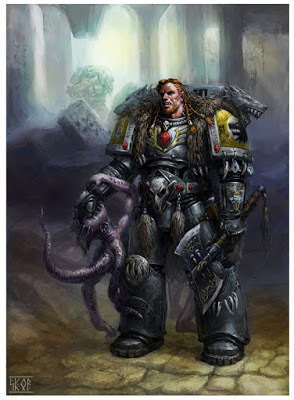 The point of this tactica, and the ones to follow, is to highlight common methods that will be employed against competitive pure Space Wolves lists and how you as a Space Wolves player can build counter tactics into your list and your strategy when your A plan goes out of the window. Dark Angels Demi-Company – What is it? 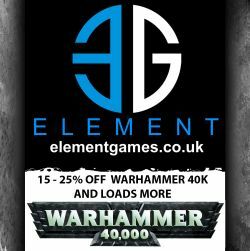 Dark Angels Demi-Company – What benefits does it get? Firstly, you need to be aware of the Grim Resolve special rule that is essentially the chapter tactics for the Dark Angels. 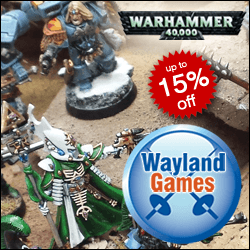 Grim resolve allows Dark Angels to overwatch at BS2, BUT whilst in the Demi-company this gets boosted to BS3. So hitting with 50% of all shots on overwatch on average. Serious ouch. Secondly, every single unit, including transports has objective secured. This rule is the main weapon in the arsenal of the demi-company and a good general will use it liberally to apply pressure. This is important in eternal war of course,but it is vital in any maelstrom game, particularly those that involve variable hand sizes. How will this army be used against you? As stated above the primary weapon in this army is that all of its units are objective secured. 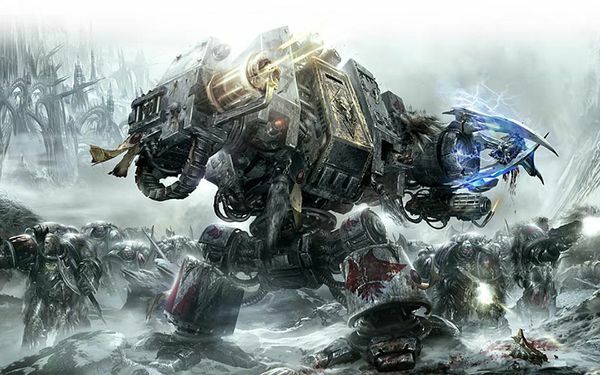 It is no secret that the Space Wolves strongest builds come from the use of the Champions of Fenris supplement that allows the use of powerful dreadnought/thunderwolf combo lists. The weakness here is their inability to score compared to an objective secured army. I’m not going to refer to any specific units as shoe-horning the tactics around a particular army makes no sense to me. I will however presume that your army is FAST and hits HARD. But in general the basic principles should work well across all armies. Anyone using the Demi-company in a competitive sense will take full advantage of its army wide objective secured and not just in a static gunline. Expect to see drop pod units flying into your back line to claim objectives with both pod and squad. The overall aim here is to split your force to deal with the backfield threat and the gun line, ruin you in overwatch and weather the storm of assault whilst scoring all the points you can. This will be very effective. Its worth bearing in mind that at tournament standard points level (1850) you will rarely see this formation alone. The three additional elements you are likely to see are Deathwing, Ravenwing and an additional demi-company. If brought this will likely be accompanied by a squad of scouts. This will qualify the formation for the Lion’s Blade detachment, but I will cover this in a separate post for clarity. That stuff gets nasty! How do you prepare and respond to this threat? 1 – Your list needs to be focussed, if you are centring around Thunderwolf cavalry you either need to have a set firebase to support them at range, or equally “fast” and manoeuvrable units that compliment that play style, this includes drop pod dreadnought that can be up in your opponents face turn 1. 2. Duality of purpose. Make sure that your units that are going to be up in the face of the enemy can deal with both horde, armour and 2+ saves. This isn’t such a problem with Thunderwolf cavalry as most people take them with a thunder hammer and a servo armed iron priest which covers both of these difficulties while the hammer of wrath and high attacks of the basic cavalry cover horde. 3. Redundancy, 1 is better than none and 2 is better than 1 and 3 is better than 2. 3 units of 5 Thunderwolf and 3 drop pod dreads are a good example of having multiple units that have duality that can cover each others bases if you lose a unit early. Right, now the basics are covered (which I am sure most of you knew) lets talk about one of the crucial aspects when facing a full objective secured army. Deployment. Whether you go first or second the principles remain the same. In order for your opponent to claim as many objectives they will likely string their force out in their deployment zone given how we all normally place objectives. I firmly believe the best strategy here is to refuse a flank. This will nullify half of the shots that will come into you. Ideally if you can set up on the side that has the longest enemy weapon range that will work to your advantage, as if the weapons could hit you on the other side of the table anyway, you should be net decreasing their fire power at you with more of the shorter range weapons on the far table edge. This requires good use of terrain (and I am assuming you have at least a decent smattering of terrain – no planet bowling ball please). If you can block line of sight and sandwich your flank against the left or right board edge this will be perfect. Leave your special weapons inside the middle of the squads at maximum coherency. If drop pods do drop down there is a fairly good chance that they will scatter away from you, hopefully on the other side of some terrain, or because you are so close to the table edge, they may even scatter off and mishap. Addendum: Another option here is to deliberately cluster objectives on the side of the table you want to deploy on, this works best if there is a big piece of terrain on that side of the board as the Dark Angel player will likely reinforce the gun line on that side. It can work but I feel has more risk inherently as it shows your intentions early on. Whether you go first or second should hopefully make only a little difference to your overall strategy. Going second in this scenario could actually be a bit of a boon as it allows you to pick a flank with knowledge of what she has positioned and where. If you want to go first though, you immediately force your opponent to choose between sitting opposite you to fire at full effect (and therefore be unlikely to be claiming as many objectives securely), or to sit on all their objectives and lose half of the armies range. Both of these are good, provided you are fast. If you are fast and you’ve gone second, you should have weathered the storm fairly well with invulns and cover and then you can make full hastes at the enemy to get a turn 2 charge off, combat is where you want to be, with your firing elements (such as flyers and long fangs) picking off un-engaged units. This is one of the few scenarios I would advocate multi-charges, one unit, if sufficiently tough, could take a lot of overwatch and then let the rest of your units engage relatively at will (unless the dice be cold!) therefore negating the BS3 overwatch as much as possible. Stick in combat with a good portion of your force but leave some free to take objectives. But the way the cards draw should give you points for challenges, combat, destroying units etc. If you’ve gone first and your opponent did set up all their army opposite you then a) their a fool, and b) you should have the speed to re-deploy away from the gun line and start claiming un-contested objectives as much as possible to score them all important points. If as I believe they will be more spread out then I would recommend the single flank assault as above, but play it by ear (see below). No plan survives contact with the enemy, but I hope that if you are faced by a horde of objective secured troops that have terrifying overwatch then these tactics come to mind. I know that I used to play all of my armies each in a single set way, and many of my victories in recent battle have come from doing something that many opponents don’t expect. Sometimes that is ignoring half of them! A good general can always adapt. But when your opponent scores with everything and you don’t, either scare him off his objectives or kill her off them. And both of these can be done by concentrating your force in a thrusting spear that can punch through his line or make her cower in a corner!